Congratulations to Tiger Muay Thai and MMA Phuket head wrestling coach JJ Ambrose on his recent gold medal at the Philippines National Grappling Open. A Brazilian Jiu Jitsu Brown Belt under Tracy Hess of the Subfighter academy in California, USA, Ambrose has a professional MMA record of 17-3. With no competitiors in his weight diviison, Ambrose competed in the Advacned Heavyweight division, capturing Gold after 3 advanced division matches. 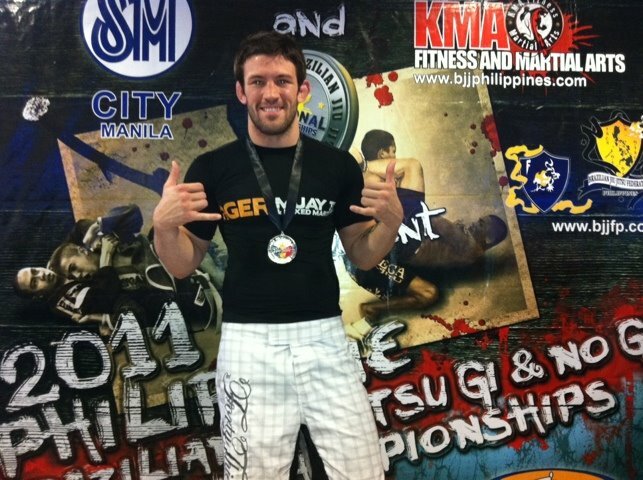 Also competing for Tiger Muay Thai in the Philippines National Open was 3 stripe white belt Reem Fekri.